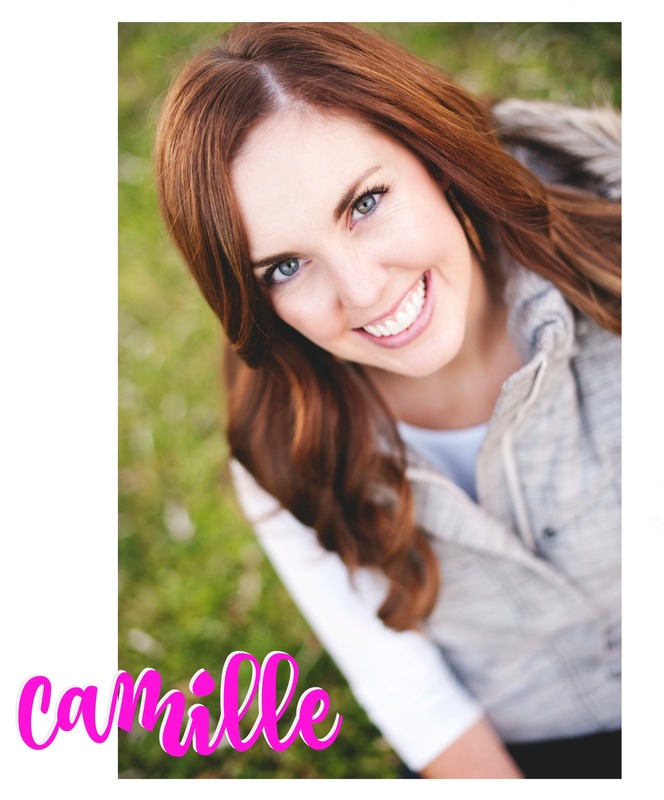 I am hands-down a chocolate dessert lover, but I have a special place in my heart for all things lemon. 🙂 My mom has been making these lemon bars for a long time and she always gets requests to bring them to parties or showers. 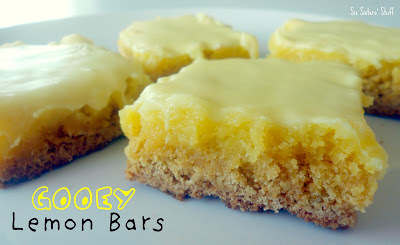 They are my favorite lemon bar ever- I think it’s the lemon frosting on top. If you are a lemon-lover like myself, you have to give these a try! Combine all of the ingredients for the cake layer in a mixing bowl. Press down in a 9x13-inch baking pan sprayed with nonstick cooking spray; set aside. In a large bowl combine powdered sugar and butter. Add enough lemon juice to form the consistency of a thick frosting. Beat in cream cheese and yellow food coloring until smooth. Set aside 1 cup of frosting to spread on top after baking (be sure to not skip this step!). Add eggs to remaining frosting mixture and beat until fluffy. Spread on top of cake mix in the pan and bake for 25-30 minutes, or until barely golden brown. Let cool completely and then spread reserved frosting mixture on top and serve. 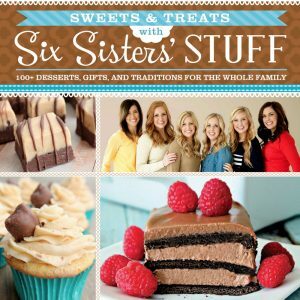 Looking for more delicious treats? These sound awesome - I am a huge lemon fan and I love the simplicity of this dessert! 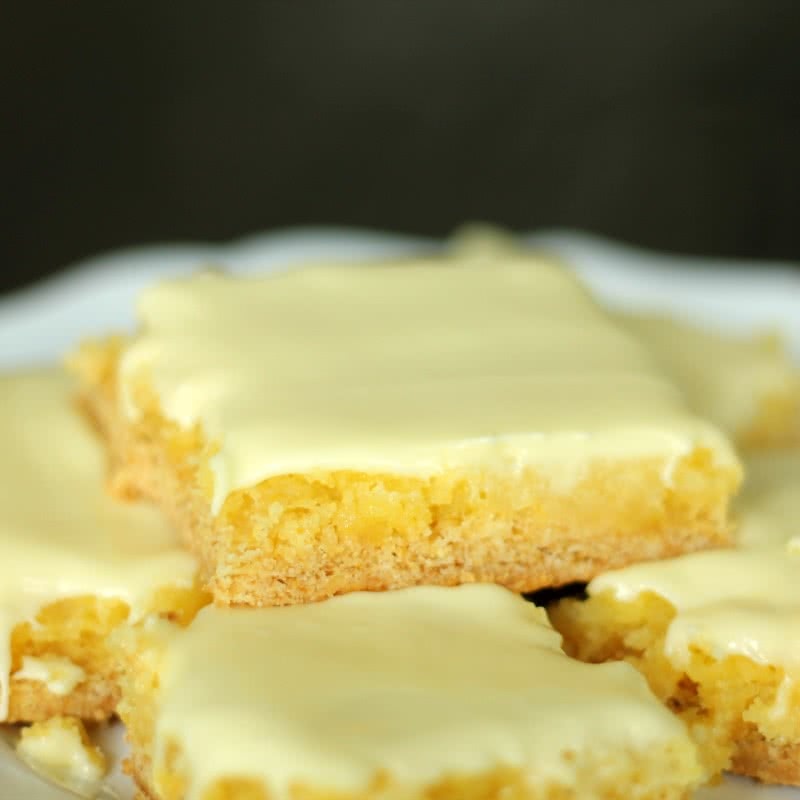 Lemon bars are my eldest daughter's favorite treat - great recipe - thanks! I am soooo making these! I just ? anything lemon!!! I really like chocolate, but I love lemon. My sister and little nephew are huge lemon fans, and I quite enjoy it too, so, these look delish...I think I'll have to try these! Thanks for the recipe! I am ridiculously excited to try this! 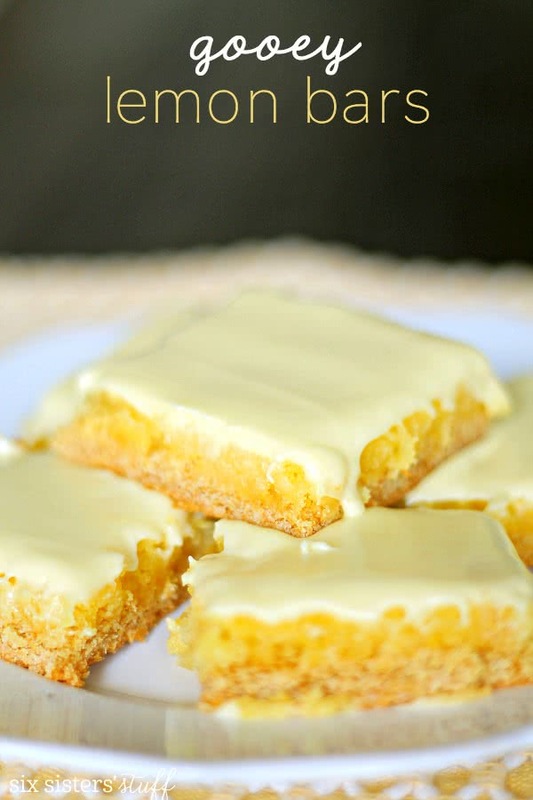 I tried some lemon bars once at a party and I could tell by the flavor that they had lemon cake mix in them but I have not found a recipe to compare with that one... yet. I'm hoping this is it! I've never seen a gooey version!! How delicious! These were delicious and pretty easy to make! Came out like a LEMON LAVA CAKE. Yummm! Hi, Love the recipe. I'm wondering how to tell when it is done in the middle? Just watch them closely. We cook ours in a glass pan so we can tell what the bottom crust is doing. You don't want it to get too brown or they are dry. Cook on the low end of the cooking time and keep checking til light golden. They are good gooey!! Looks like a great recipe as I am a huge lemon fan. Is the middle supposed to get brown on top or just he crust? Is that the part that is gooey like meringue? The bottom layer is kind of a soft crust. Then the middle layer is gooey lemon. Then when cooled add the frosting. It doesn't really get brown when you cook it. Just follow the instructions and check on it periodically when it's almost done cooking. So yummy!